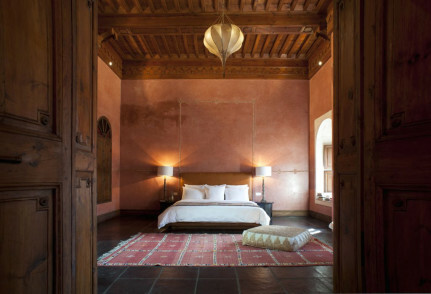 Candlelit dining, hammam, plus rooms with huge french doors and curtains billowing out onto private terraces. Divine. 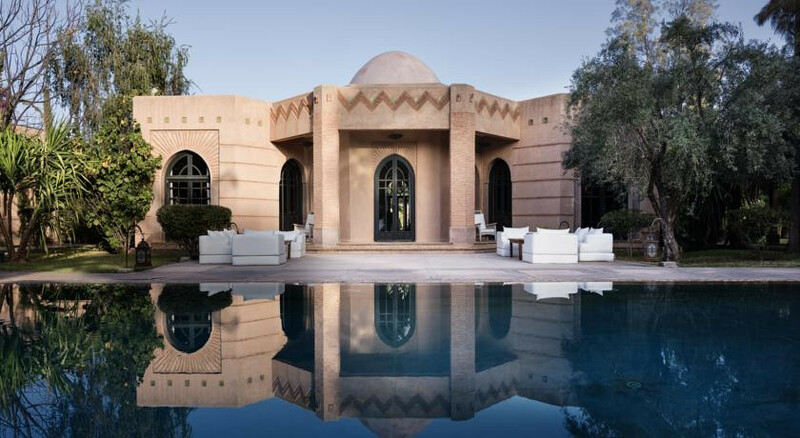 Just a ten minute drive from the hustle of Marrakech this hotel features an inviting pool and tranquil grounds. Bliss. Free of charge. Reservation is not required. All children under two years stay free of charge. Daily shuttles into Marrakech town allow you to explore the colourful markets. There is a hammam and spa for ultimate relaxation. Under 3km away Palmeraie Golf Palace and Resort is a lavish course. There are bikes available for guests to use to explore the local area. The hotel concierge will gladly help you organise horse riding trips. For the relaxed atmosphere and feeling of being away from it all while still having Marrakech at your fingertips. Marrakech and all of its sites, sounds, and restaurants are at hand, though when staying in the Palmeraie most people are there to play golf (we have 3 of Marrakech's best golf courses within a five minute drive from the Villa) or to just relax and enjoy some down time. We offer all meals, and our restaurant serves both French and Moroccan cuisine, with a daily changing menu as well as a range of staples, such as tajines and delicious sandwiches. All of our rooms are junior suites, and have private terraces or balconies looking onto the gardens. We have a boules court, offer games, cooking classes, and will be adding a "kids club" this summer. We can have up to one added bed in each room.